This Garden Hammock Bed sunbed for two is an ideal spot to rest and relax in your garden or on your patio, while the sunroof protects you from direct sunlight. 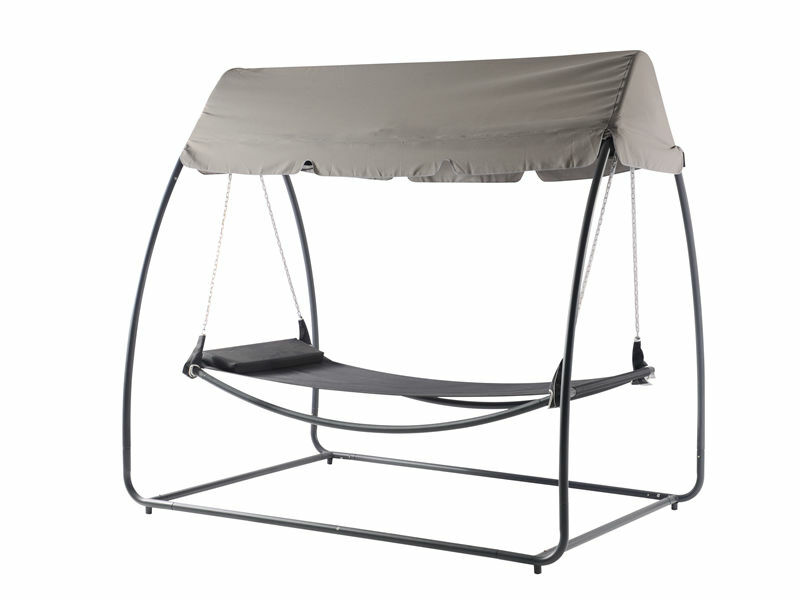 The Outdoor Hammock with Canopy sunbed has a stable, light-coloured steel frame. The cream-coloured bed material is sturdy and washable. Looking for ideal Garden Hammock bed Manufacturer & supplier ? We have a wide selection at great prices to help you get creative. All the Outdoor Hammock with Canopy are quality guaranteed. We are China Origin Factory of Camping Swing Hammock. If you have any question, please feel free to contact us.